It's TRACK TIME! : Goto WWW.LynbrookSports.COM for track info. 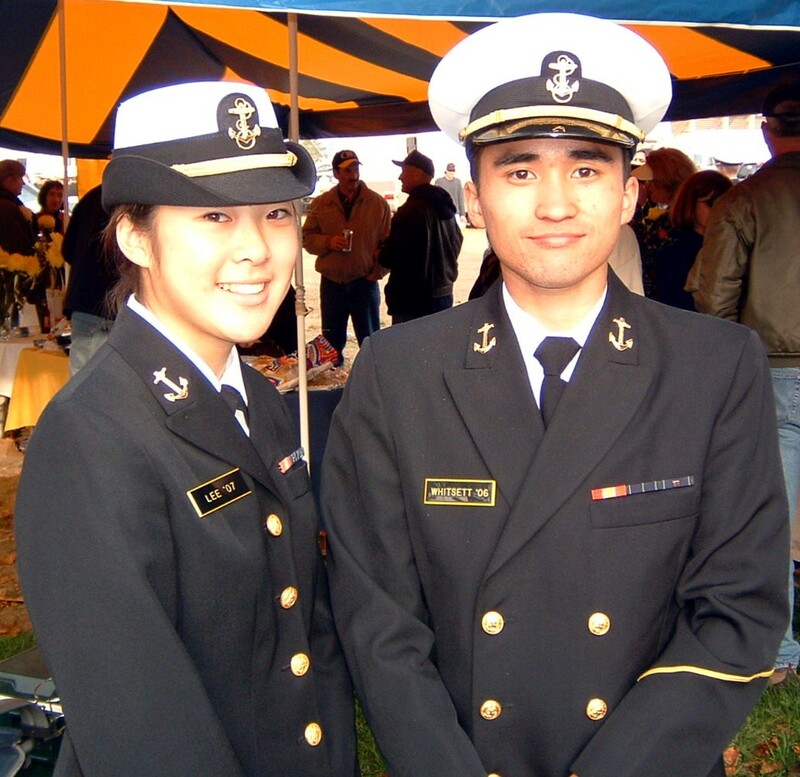 Jeff Whitsett & Francine Lee: go to the Armed Forces. LGAC @ XC Jr Nationals: One last bit of XC coverage. 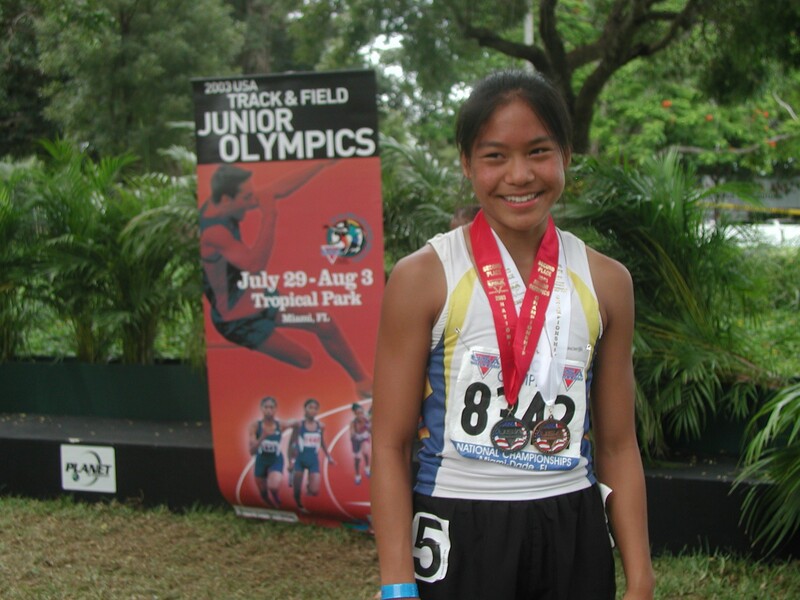 Mayc Huang: at the Jr Olympics. Body Mass Index: An Excel spreedsheat that does an estimate calculation on you based on weight & height - runners have nothing to worry about. Stanford Fleet Street Singers: Bring some Christmas Cheer (and laughs) to the Holiday Season - a MUST listen to. Feedback needed for State meeting: Coaches... Roberta Chisam (SF) needs feedback by Jan 10th on proposals that are being considered by the State Commissioners. There is a meeting in Jan. that she will be attending. E-mail her with your thoughts. All-CCS Team: The SJ Mercury News and CCS Coaches All-CCS Teams have been published. Congratulations to all (especially MayC & Aya :). Merry Xmas! : This site struck MY funnybone (have your sound turned on). Jr Ags & others: Will be doing 4-6 mile runs from Lynbrook HS on Tuesdays @ 3:30 starting on Dec 18th thru the 1st of the year - meet in the parking lot by the pool. 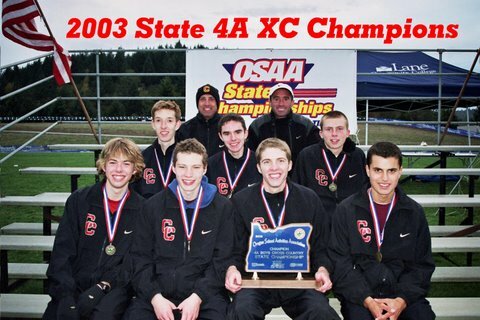 Galen Rupp : On the winning Oregon State Meet team. All-CCS Team: Will be published in the SJ Mercury News by Dec 19th - keep checking. Saratoga News: Follmar on State performance. Pitch To Parents: So how do you handle yourself at HS athletic events? Classes are making the rounds. CCS Coaches: Balloting for All-CCS Teams happens this Wed (12/3) at Bellarmine HS at 4:00 and will be published by the Mercury News, and posted, within two weeks. Please contact Walt VanZant (246-2651) if you plan on attending. State Finals: Huang finishes 49th with a School Record 19:17 while Wakabayashi improves 15 seconds (19:51) for 79th place. Saratoga News: Follmar still running - on to States. Cal Coaches Alliance Clinic: Will be held on Jan 31, 2004 in Newark - click the link for more details. SJ Mercury News: Melissa Grelli is Athlete Of the Week. Saratoga News: More CCS coverage from the News. And now something for the 'old guys': The listed 5K American Record for 40+ men is listed as 14:45.7 - today, in Japan, Eddy Hellebuyck ran 14:45.12 on a windy day and only 3 weeks after a 2:12 effort at Twin Cities. Running anyone? : So Leagues are over, you've taken a few weeks off and now you want to get going again to get set for track. Well, we're not starting quite yet but come Xmas break we'll be announcing runs for HS'ers that are interested in the Saratoga/Cupertino/Los Altos area. Keep checking www.LYNBROOKSPORTS.com for updates. Then on Jan 4th until the official start date of track, the Jr Ags will have daily workouts leaving from the Lynbrook HS area at 3:30 - more details to follow. St Francis Throws Clinic: Is being held at SF high School on Mon/Tue, Dec 29/30 at 8:30 AM. CCS Finals: What a wet one! Lynbrook qualifies on Huang (4th) and Wakabayashi (9th) to States in two weeks. DVC All Comer: Diablo Valley College is hosting their Winter All-Comer meets along with the 2-person, 10 Mile Relay event. DyeStatCal College Signings: ATHLETES - Have you committed to or have an idea of where you're going to college next year? 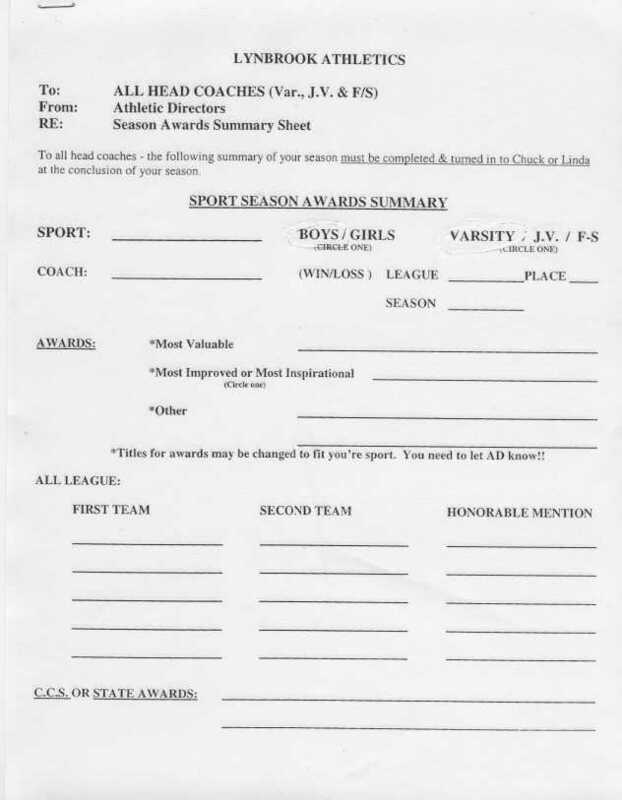 If so, email Coach Garcia (Lynbrook HS), he'd like to do a write-up that I'll post here. Helium Balloons: Saw some kids breathing helium out of balloons and had to get on my 'soap box' - read on. 1600 Time Trial: 10 hearty souls came out to test their speed in the 1600 since they're in XC shape - Jensen & Huang lead the way. Los Gatos All Comer: The All Comer meets at Los Gatos for the Winter Season start on Jan 10th. Jason Balkman: Lynbrook alum Jason Balkman ('94) finishes 4th in Mens 10K Championship - won by Bob Kennedy. Alex Dunn: has verbally committed to Cal Poly SLO. Great preview on the SCCAL Meet. Los Gatos Track Clinic: If you're interested, Jan 24th, 2004 Los Gatos will hold a Track Clinic. XC Honor Coaches: Congratulations to Alan Green (N Salinas) and Bob Sharpe (Milpitas) this years CCS Honor Coaches. Crystal Springs All-Time List: Folks have been rippin' on the course this year, especially the ladies. Check out the updated list. Saratoga News: Alicia Follmar and her Course Record at the Lynbrook Invitational. Ernie Lee (Gunn HS): Gunn High grad is now coaching at his alamater. 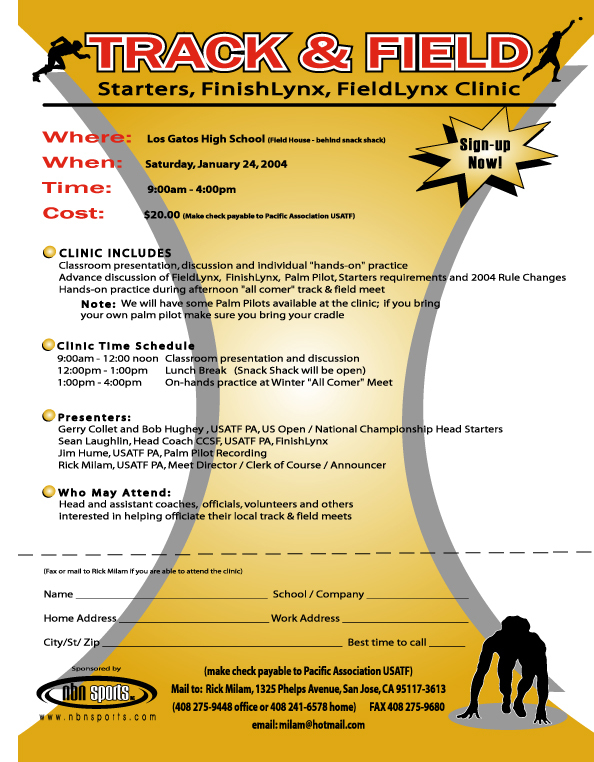 California Coaches Alliance: Is holding a Track Clinic on Jan 31st all day in Newark, CA. League Finals: Has Lynbrook taking 5th in VB, 3rd in VG, 3rd in F/S, 3rd in JVG and 2nd in JVB - we'll see you at CCS. History of Cupertino HS: Alums of Cupertino HS, check out this Coffee Table style book that covers the Pioneers - proceeds to save the Cupertino HS Hall Of Fame. MBL Preview: From Coach Gustavo Ibarra. Just thought everyone would like to know. Melissa Grelli: I caught up with Melissa (via e-mail) the day after her 18:29 run at Mt SAC. She's back racing again and here's what she had to say about her delay in starting XC this season. Calvin Harrison: Ooops, he did it again. Saratoga News: Center Meet #2 at Crystal Springs is covered. Crystal Springs #2: Varsity Boys take 6th (without Berson), Varsity Girls finish 4th. JV Boys do the best by finishing 3rd but I'm really pleased with JV Girls that tie for 4th with Saratoga but win on the 6th man tiebreaker (thanks Amber). Saving Apes: Have an old cell phone that you don't know what to do with? Give it to someone on the Lynbrook XC team and they'llsee that it goes for a good cause... Saving Apes. We'll be at the Crystal Springs Meet #2, Lynbrook Invite, SCVAL Leagues and CCS - thanks in advance. Mid-Shipman Francine Lee: Shows that there is some benefit for being the 'youngest' in her class. Although not on the traveling squad (yet) she feels in great shape because of the 'long & hard' workouts the XC team has been doing. 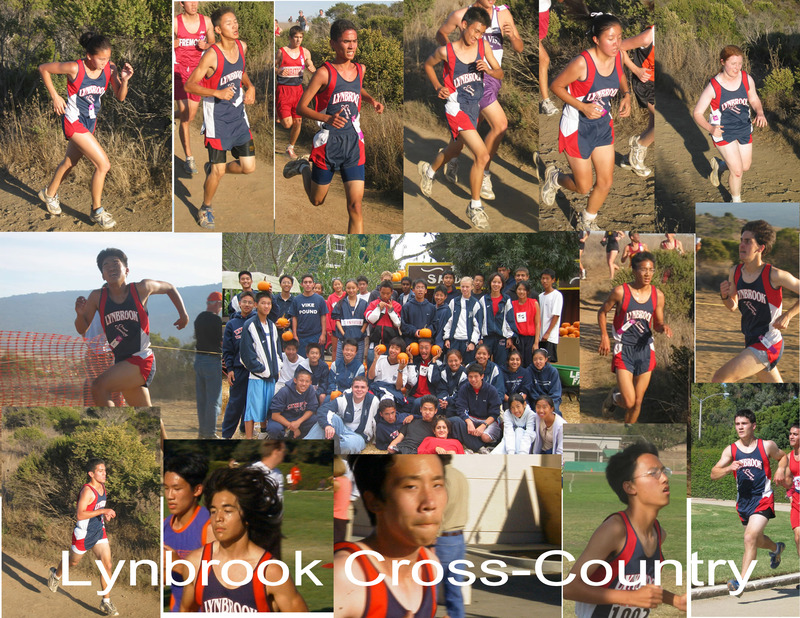 SCVAL Crystal Meet: Lynbrook boys take 9th while the girls get 5th (1 point behind 'tino). F/S Boys and JVG get teams best showing with 4th while JVB take 5th. SJ Mercury News: Christine Jones (Live Oak) is Mercury News Athlete Of the Week. Rallye Run Results: Speed has nothing to do with this event - how observant and thinking on your feet do. It's like a Treasure Hunt with clues... ie. Winter - Lips... You actually come upon a street called 'Fal Mouth', would you have gotten that one? Alex Choy, Tim Jou, Jameson Lam & Daniel Low are this years winners. Vic Heckler: Been trying hard to 'dip' under the 5:00 barrier for the mile? Check out what this 61 year old does in order to 'dip'. Saratoga News: Coverage on the Artichoke Invite. 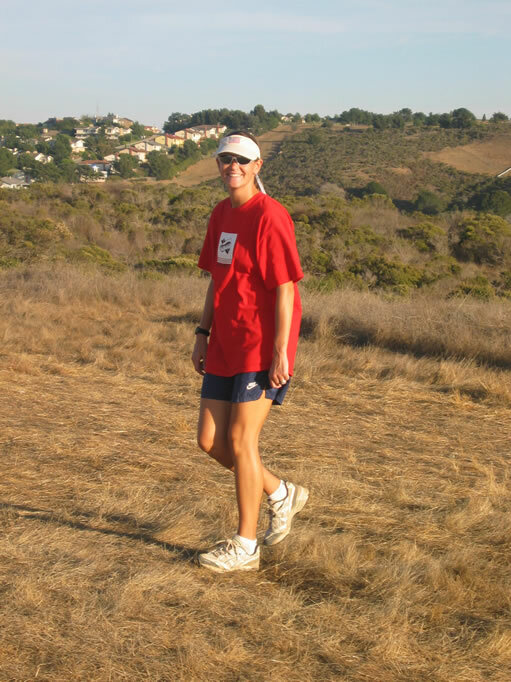 Cross Country Philosophy: In case you missed it, Coach Dan Gruber (Aptos) shares his coaching philosophy in the last issue of American Track & Field. SF Chronicle: Does a nice story on Melissa Grelli (Presentation) who will be starting her season at the Mt SAC Invite. SJ Mercury News: Articles on Follmar (Saratoga), Mineau (M-A) and Yow (Monta Vista). CIF Advisory Minutes: Minutes (thanks Roberta) from the States Advisory meeting for Track and XC - check 'em out to see how our sports are being run. Berlin Marathon Splits: Take a look at what Tergat's splits were on his way to a World Record in the Marathon - amazing. SJ Mercury News: A little pre-race hype for this weekends Stanford Invite. Stanford Invite: Huang & Wakabayashi lead Lynbrook Ladies to a 15th place finish while Jensen & Berson take the guys to a 20th place. Saratoga News: Petrillo (LG) and Nast (Redwood Middle) get coverage based on Jr Olympics over the summer. Santa Teresa HS: Good article covering the Santa Teresa XC program and their coach, Mike Dudley. Iolani Invite: Girls take 9th out of 22 while Boys take 11th out of 26, and that is with Berson being a DNF! Read all about the experience by clicking here. Saratoga Scrimmage: Steven Young grabs a 3rd place finish in the JV Boys race while frosh Jason Wang has the fastest time for the day. Saratoga Slide Show. SJ Mercury News: Talks about LYNBROOKSPORTS.com and the "Track Nut" behind it. Crystal Springs Newsletter: Bob Rush sent me this newletter for posting. I have seen questions about where CCS will be this year... the answer is Crystal Springs. Firebird Invite: Lots of great performances but the one that REALLY stands out is the JV Boys overall win. Eric Sasaki getting outleaned at the tape when leader Aaron Chai faded during the last 50 meters. Steve Young and Hsiang Hsiao going 6-7 and Walter Chang closing up with a 17th place finish - wow!. MayC Huang runs 2nd fastest Frosh time ever on the course. Firebird Slide Show. SJ Mercury News: Another quick blurb on XC. SJ Mercury News: Athlete of The Week - Alicia Follmar (Saratoga). Unnofficial CCS Meeting Minutes: From Walt VanZant (Wilcox), thanks Walt. Crystal Springs Schedule: Has been updated by Bob Rush and sent for posting. Read carefully for some things have changed (especially the $ cost). Lynbrook Center Meet: While Alicia Follmar (Saratoga) was busy setting a new course record, MayC Huang (Lynbrook) was setting a Frosh record of her own with fellow teammate Aya Wakabayashi also finishing in the Top 10 and leading Lynbrook to an unnofficial 3rd place team finish. Luis Jensen & Eugene Berson go 8-9 while the Vikes also gather a 3rd place finish in the Varsity Boys. Lynbrook Slide Show. 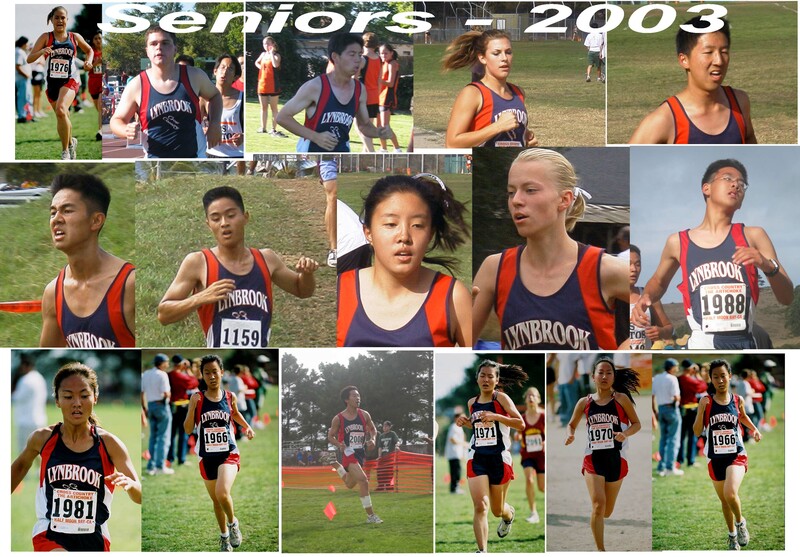 XC HS Alums: If you went to any of the 5 FUHSD High Schools, Saratoga, Los Gatos, Wilcox, Mitty or Mtn View feel free to come by and run at the Lynbrook Center Meet on Sept 4th. If you went to Gunn, Paly or St Francis - you're invited to run at the Gunn 3-way meet on Sept 16th. SJ State XC Trivia: San Jose State Spartans Tops in NCAA XC in the early '60s. Saratoga News: covers the Dammit Run where HSer's Follmar, Plank & Peanasky all place in the Top 10. Note, this is a HILLY 5 miler where the entry form warns you not to attempt this race unless you are in excellent physical shape. 6:00 pace is hard to achieve on this course. TIDBITS: Did you know that Mailboxes Etc & The UPS Store will take your used toner cartridges and will recycle them for you? And if you want to stop Junk Mail to your house you write to Direct Marketing Association, Mail Preference Service, PO Box 9008, Farmingdale, NY, 11735-9008 and include your name, address, zip and request to "activate the preference service". This will stop Junk Mail for 5 years. Mercury News: gives Lynbrook frosh Mayc Huang some early season press coverage. Roberta Chisam (SF): Will be attending the CIF Advisory meeting in late Sept and needs input about whether meet officials/coaches have implemented the 4X800 relay in their dual meets or invitationals and whether there is an interest to make it a mandatory event up to the State Meet. 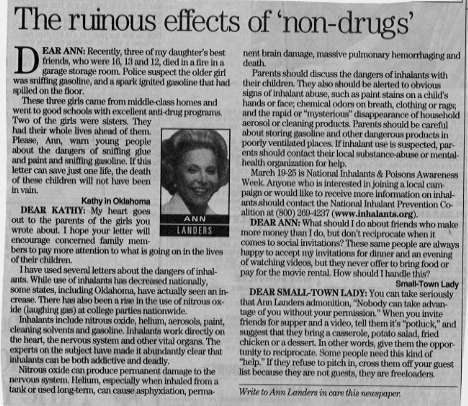 Please email her (click on her name) with your inputs. CCS site update: Jim Hume just informed me that CCS office has indeed talked with CSM about reserving Crystal Springs course for Nov 15. Crystal Springs Schedule: This years Crystal Schedule from Bob Rush. You might note that CCS is listed on 11/15 to be held at Crystal, however, I just received an additional e-mail from Bob Rush stating that the CCS Office has still not requested Crystal for that date. Matt Petrillo (LG): Gets some Mercury News coverage. He is going to both Nationals in Miami and the Hershey meet in PA for some end of summer racing. SCVAL Track Team: Wins Corporate National Track Meet. A team of 19 runners, jumpers and throwers that are teachers and/or coaches from the SCVAL competed against companies from around the US in San Ramon this past weekend at the 26th Annual Corporate Nationals and came away with the First Place perpetual Trophy. After having won in Seattle in 2000 & 2001, the team lost to Sempra last year in Sacramento but regained the title back in 2003. Plans to defend their title in Maine next year are already underway. Individual team marks should be posted by tonight with the Overall team results posted by mid-week. Coaches: I'm going to try something new this XC season and I need your help. I want to post on a weekly basis how TEAMS in NorCal are doing ranked against a common course (Woodward Park). All Section courses have their corresponding Woodward Park time conversion but I need ALL courses that are run if this is going to work. So, as your team runs a course, please go to COURSE DATA ENTRY and fill in the form. If I get enough teams to do this, I will be able to post a VERY SUBJECTIVE listing of how teams rank against each other even if they don't race against each other (until the end of course). Teams that run courses in the CCS section need not submit their times since I'll have those results and their corresponding equivalent time. To see the corresponding Crystal time, use the Charlie Rettner conversion tool. Just something more to play with as the season progresses. Please take a look at the form and give me any suggestions you may have. Thanks and keep on runnin'. Shoe List: Dr Amol Saxena who is a local Sports Podiatrist (Gunn HS Alum) and specializes in runners, has compiled his list of recommended training/racing shoes. Rumor Mill: Chad Blanchard (1:54 from LG) is planning on playing football?! Jill Peanasky (5:12 8th grader from Sunnyvale) is going to Homestead HS. Vin Lananna: Head Coach at Stanford is leaving the Cardinals. He has built a tremendous powerhouse of distance runners while there. NOTE: Castilleja was left off, they are D5. As far as where CCS will be... I talked with Steve Stearns (CCS office) and he told me they plan on using Crystal for 2003. The date was open on the Crystal Springs calendar as of April but CCS had not yet contacted CSM to book the date. So it may be their (CCS) intention to run at Crystal, but until the course is booked - anything can happen. CCS All-Time Top 100 : Track events from 400 on up (no relays) and all field events (except LJ) have been updated from this years marks and other past marks discovered through the year. All-Mercury News T & F : OK, it's not XC but the Merc puts together its All-Mercury News Team for T&F, I just wish I could get the pics they use as well. LG All Comer: Weekly RESULTS from the All Comer meets, starting June 26th. Diablo Valley AC Meets, starting July 2nd for 5 weeks. 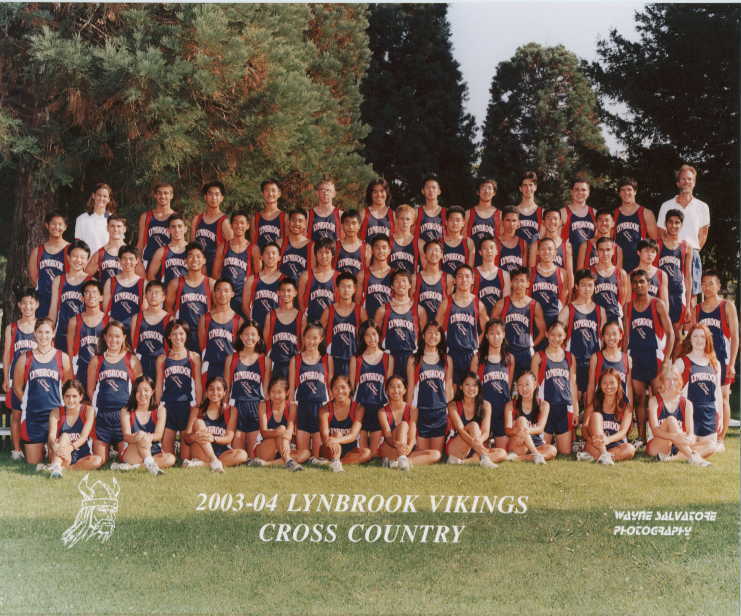 Lynbrook XC : We start on June 16th at 6:00pm and will run every M/W throughout the summer meeting at Lynbrook. Anyone is welcome to come run with us. HIGH JUMPERS LISTEN UP! : Any high jumpers that are interested in continuing their training through the summer would be welcome to contact our jumps coach Darrin Garcia for more details on his summer program. Contact him at vikingact@yahoo.com. The sky's the limit. XC Starts : On Aug 18th (Mon @ 9:00 AM) at the Outdoor Basketball courts.